Approx. 40,000 MW power plant capacity in Germany and approx. 200,000 MW power plant capacity in Europe must be newly installed from 2010 as a result of the existing ageing structure of the power plants already being in operation. 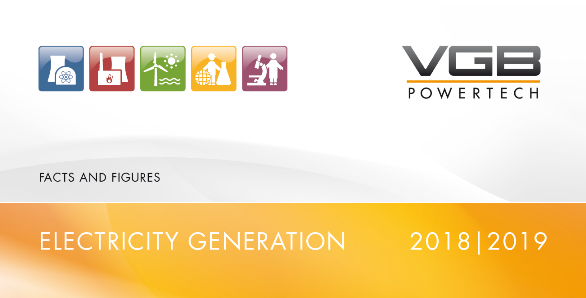 In co-operation with its member companies, VGB PowerTech as European Association for the generation of electricity and heat, has therefore initiated the power plant initiative Emax. Planning, construction and operation of a 400 MW demonstration power plant with an electrical efficiency of 50 % and low emission values at the same time shall be realised with the Emax power plant initiative. By using particularly high steam conditions (700 °C/720 °C/35 Mpa) an optimised power plant process as well as high quality materials and components, the economical operation of new fossil-fired power plants shall be improved and the specific CO2 emissions shall be decreased by 25 %. Already running development programmes such as KOMET 650 and AD 700 are integrated into the Emax power plant initiative. To convert the enormous replacement requirement from the year 2010 safely by commercial subsequent plants, the 400 MW demonstration plant shall be put into operation at the end of the current decade. The power plant initiative Emax is supported by a circle of European power supply companies such as E.ON Energie AG, Electricité de France, EnBW Kraftwerke AG, Electrabel, ENEL Produzione, RWE Power AG, ELSAM A/S, ENERGI E2 and Vattenfall. In an initial step, the power plant manufacturers Alstom Power, Babcock Borsig Power and Siemens examine the integration of development work of the AD 700 project into the total Emax concept by a strategy study. The results of the study are to be presented in January 2003.